It’s been awhile since the last time I had a chance to put together the list of my favorite products so here comes a catch-up on all beauty items that I currently love. 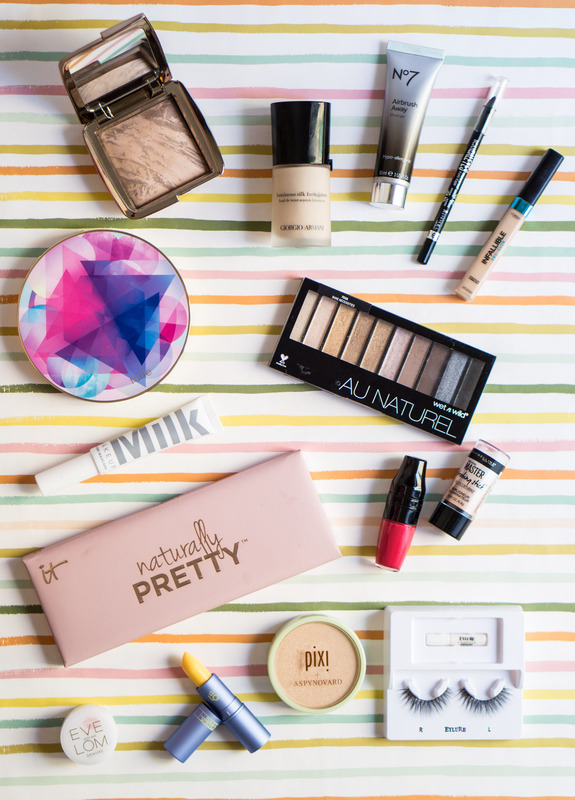 Since I didn’t have a chance to put together similar post in April, this May 2017 beauty favorites post is actually a combined one as it features makeup and skincare products that I tested within the last two months. Some of them you already saw in dedicated blog posts, some were just waiting for a chance to be featured. As always, separated all the favorites into skincare and makeup categories. Please let me know in the comments area below if you tried any of these products or whether you have any other beauty recommendations. Tarte Make Believe in Yourself Eyeshadow Palette: This palette is completely different compared to the IT Cosmetics one, and I enjoy the fact that it invites for experimenting. I already reviewed and swatched it in my post about unicorn makeup, and here I will just mention that I actually love the metallic eyeshadows from this palette. 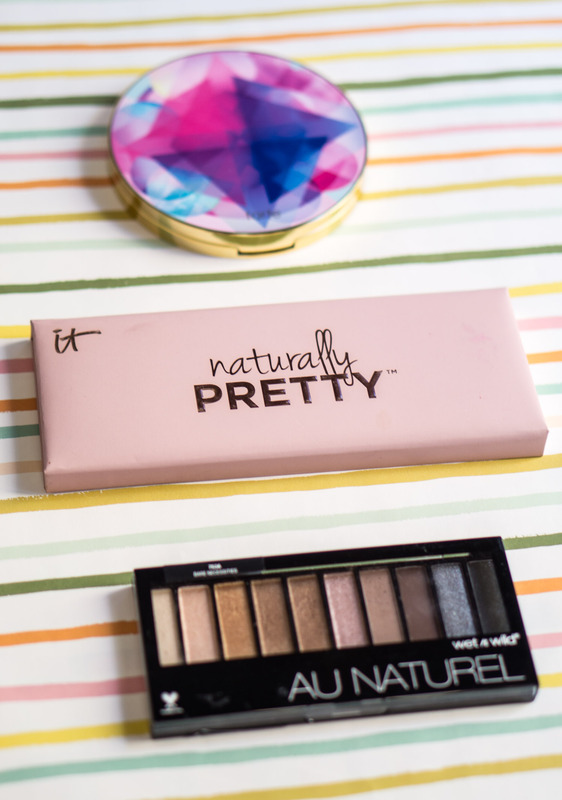 IT Cosmetics Naturally Pretty Palette: I haven’t updated my neutral eyeshadow collection in a while, and this palette is my current favorite. I would compare the quality of these shadows with those in Tarteist Palette. With the only exception that you can transform each of these matte shadows into shimmery ones. Wet n Wild Au Naturel Eye Shadow Palette: Even though I do enjoy many of Wet N Wild products, I didn’t have high expectations for this one. At first glance, the shades were pretty basic—but it, these shadows blend amazingly! The palette design might be simplistic, but the actual product inside of it is worth checking out. Giorgio Armani Luminous Silk Foundation: This product should go under the category “YouTube Made Me Buy It” because each person I follow on this platform is raving about it. 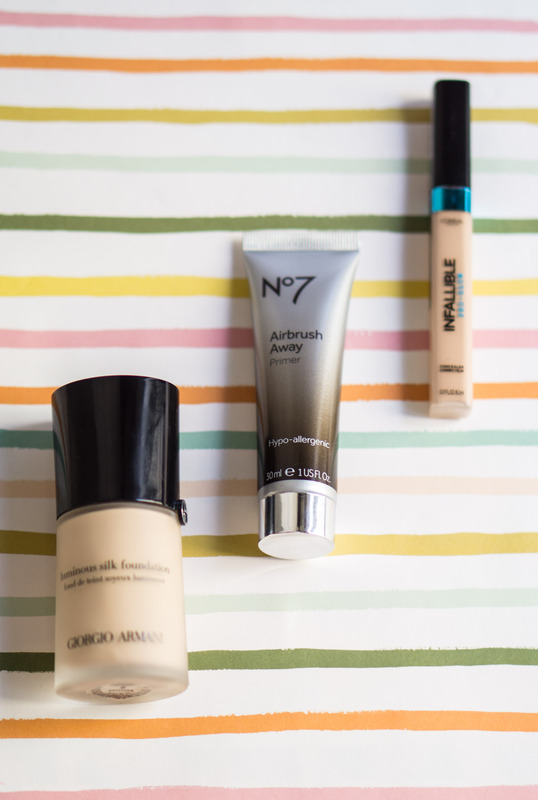 The foundation provides a beautiful coverage and lasts so long—it’s been one of my go-to products for a few months now. N7 Airbrush Away Primer: This affordable primer reminds me of Smashbox Photo Finish Primer, but with more whipped consistency. It quickly melts into skin and ensures that foundation stays on skin longer. Lately, I’ve been using this product over many other more expensive options, and I have to say that it performs better that some other primers in my collection. L’Oreal Infallible Pro-Glow Concealer: I’ve loved the Infallible line for the longest time, and this concealer is a great addition to my collection. While I prefer Infallible Pro-Matte 24HR Foundation over the Infallible Pro-Glow (because I’m a matte foundation lover), I don’t mind a bit dewiness which concealer provides—it helps to camouflage under eye imperfections even better. Lancome Matte Shaker Liquid Lipstick: Even though this product stains lips like crazy, it’s worth the hype as it provides the most comfortable coverage and stays on your lips without smudging until you decide to remove it. Lipstick Queen Morning’ Sunshine Lipstick: I recently tested an entire line of lip products by the brand, but this product stand out. As you see in these photos, the lipstick is yellow, but it doesn’t look yellow when you apply it on your lips! This lipstick transformer provides the most beautiful apricot shade coverage and deeply hydrates lips—what a perfect everyday product! Hourglass Ambient Lighting Bronzer in Bronze Light: I’ve never been a fan of bronzers because the majority of these is too dark for my pale skin, but this new bronzer by Hourglass is the exception. It blends smoothly and not patchy at all; I love the gorgeous light shade of the bronzer and how it looks on my pale skin. 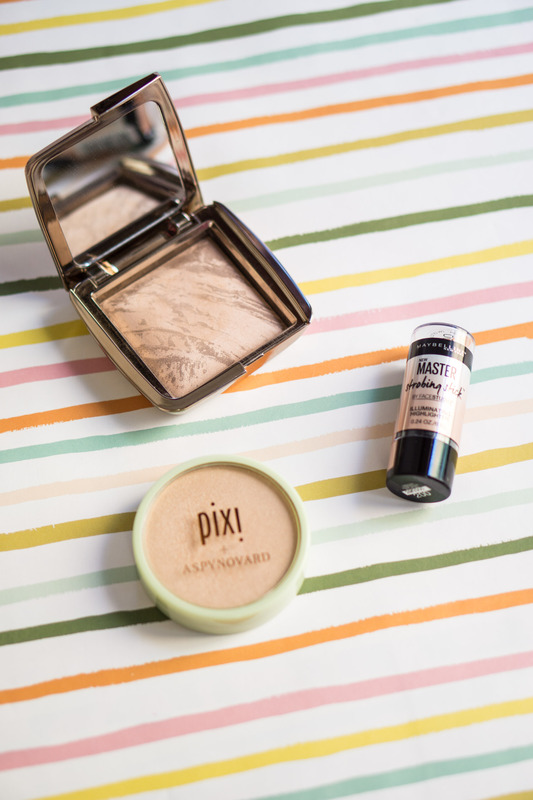 Pixi Aspynovard Glow-Y Powder: I received this highlighted in PR mail a long time ago, but never had a chance to check it out. What a mistake it was! The product provides such gorgeous glow that will blow your mind! Maybelline Master Strobe Stick: I talked about a liquid form of this product before, and I liked it, but the stick form makes this formula a makeup gem. It’s easier to carry around and apply—you don’t even need a brush. Simply put a few dots on your cheeks and blend the product with fingertips. 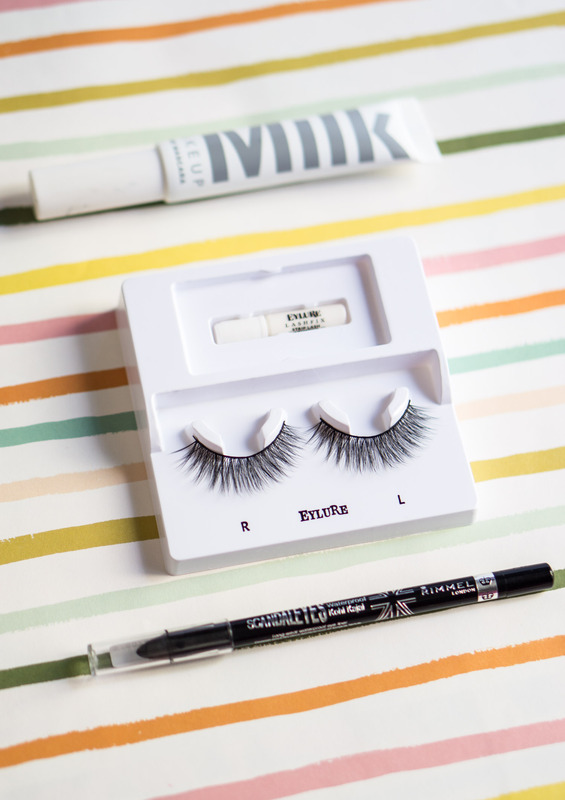 Milk Ubame Mascara: For starters, this mascara has the weirdest wand ever, but I do like how it transforms my lower lashes. It’s buildable and will work for people who prefer volume over length—just an overall great product to try! Rimmel Kohl Kajal Eyeliner: I recently tried this eyeliner in my Tightlining Tutorial, and I was impressed with the longevity of the product. It costs just a few bucks, but it provides a true all day coverage which makes it a perfect product to use during the warm season. Eylure Luxe Opulent False Lashes: My obsession with Eyelure lashes continues as I explored these super extra and super stunning lashes. These are longer than my all time favorites Eylure Texture No. 117 so I save them for special occasions when I want my eyes to really pop—in a most effortless and stunning manner! Eve Lom Kiss Mix: Even though I prefer lip products that do not require me getting in a jar with my fingertips, this product is worth switching my principles. Especially, when my lips are incredibly chapped. It really helps to heal dry lips fast. I also love the cooling sensation it leaves on your lips—it feels so refreshing! Last month I’ve been testing a lot of face serums as it’s my favorite moisturizer formula for a warm season. I know, it might sound excessive, but I found three products that I highly recommend checking out. I switch between these three serums and add a typical moisturizer every now and then to ensure that my skin receives all the things necessary to stay hydrated throughout the day. I also included some of the body caree items as I recently discovered a few amazing products I’d love you to try too. Vichy Purete Thermale Toner: I’ve been a long-term fan of Vichy products, but somehow I never tested their toners. Well, now I regret not exploring this amazing toner earlier: it features such gentle formula which is so suitable for my sensitive skin. I love it! Vichy Idealia Serum: Usually, I stick to Vichy products for acne-prone skin, but lately I decided to try a few more options for skin that lacks radiance. Let’s be real here: I’m in my 30s, and it takes a real effort to make my skin look radiant. This amazing serum by Vichy is one of the products that helps me to do so as quick and effective as possible! 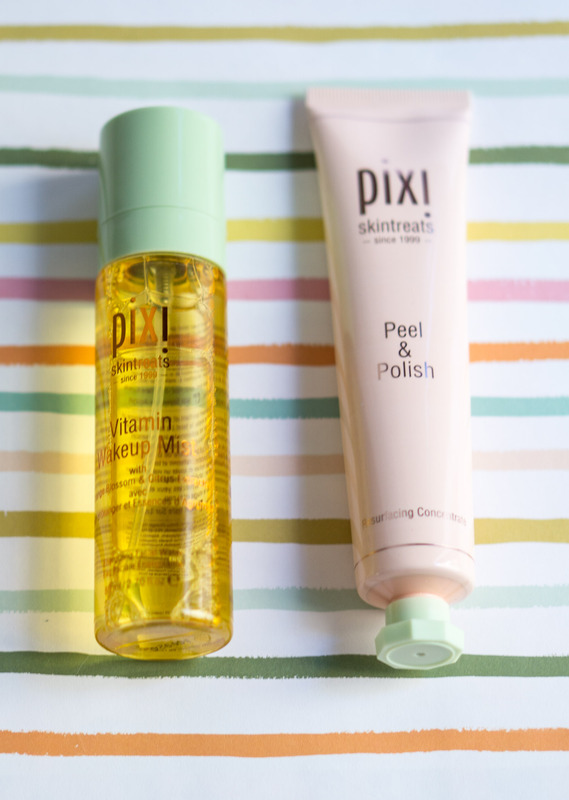 Pixi Peel and Polish: This new product by one of my favorite affordable skincare brands impressed me. It’s such gentle and at the same time effective classic face peel that makes my skin feel refreshed and super clean. I use it a few times a week, prior to masks that I’m testing for my 365 Masks Challenge, and it’s one of my favorite peel formulas that I’m not afraid using almost on a daily basis. Pixi Vitamin Nectar Mist: I tested an entire line of face mists by Pixi, and so far it’s my favorite one from the line. I love a citrusy scent of the product and adore how it refreshing and moisturizing it feels on my skin. While some people prefer using a mist instead of a toner, I use this product during the day as an alternative to thermal water—to add hydration to my skin. 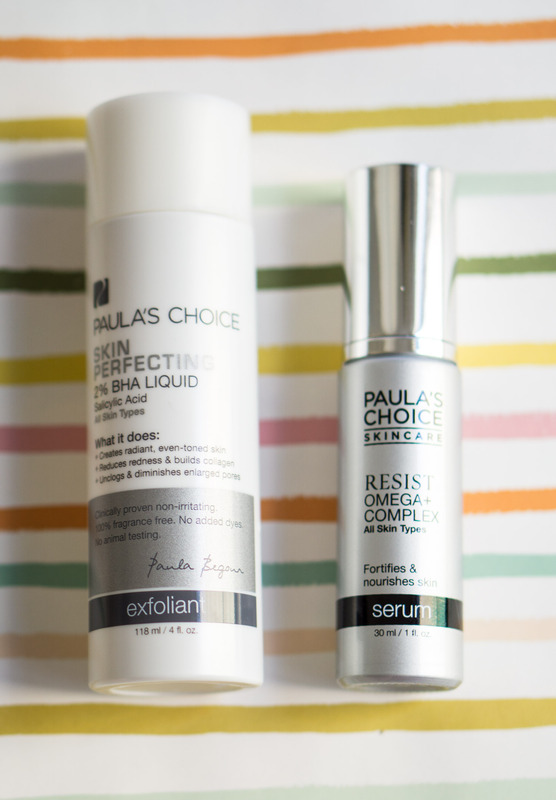 Paula’s Choice Skin Perfecting 2% BHA Liquid: I had a sample of this toner for about a year now and I somehow I never used it. Well, I’m certain that if I started incorporating this product into my skincare routine earlier, I would have a much better skin! It’s been just a few weeks of using this product (I can’t even call it a “toner” as it feels like… I don’t know… evaporated alcohol on skin?) and I already see the difference it made to my pores. I call the skin on my nose “strawberry skin” as it has that many enlarged pores, but with this BHA liquid things are getting more smooth and poreless after just a few weeks of using the product. I’m addicted! Paula’s Choice Resist Omega Complex Serum: I switch between this serum, the one by Vichy, and the one by Perricone MD as I can’t decide which one I love more. The serum is so hydrating and gentle to my skin that often I use it instead of a night cream. It features such lightweight formula that I also love it applying it under my sunscreen—that way, my skin is soft and plumped while I don’t feel like I’m wearing too many skincare products. 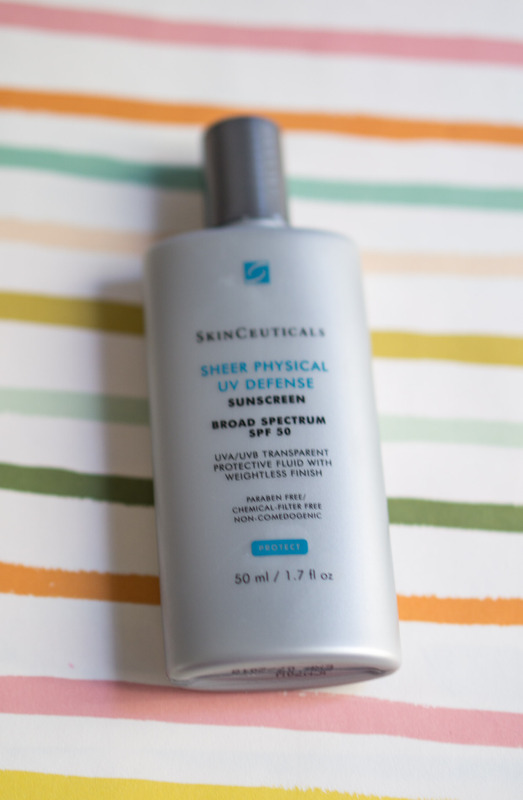 SkinCeuticals Sheet Physical UV Defense Sunscreen: My friend Nina (who is a girl with the best skin I’ve ever seen) swears by this sunscreen, and I finally decided to give it a go. As expected, it did not disappoint. The cream is so lightweight and gentle that I could barely feel it on my skin. It also doesn’t contain these annoying tiny absorbing pieces that many other sunscreens do which makes it easier to distribute on the skin and apply makeup on top of it. Also, these days I no longer trust mineral sunscreens exclusively (I believe in combining them with physical SPF), so I’m super thrilled that I found this amazing product that makes the process of protecting my skin from the sun so easy and enjoyable. Perricone MD H2 Elemental Energy Hydrating Booster Serum: I know that I’m featuring three serums in one favorites post, but that’s the reality of my current skincare routine. I switch between three different products depending on what type of skincare benefit I’d love to deliver to my skin that day, and my skin rewards me with brighter and smoother appearance! 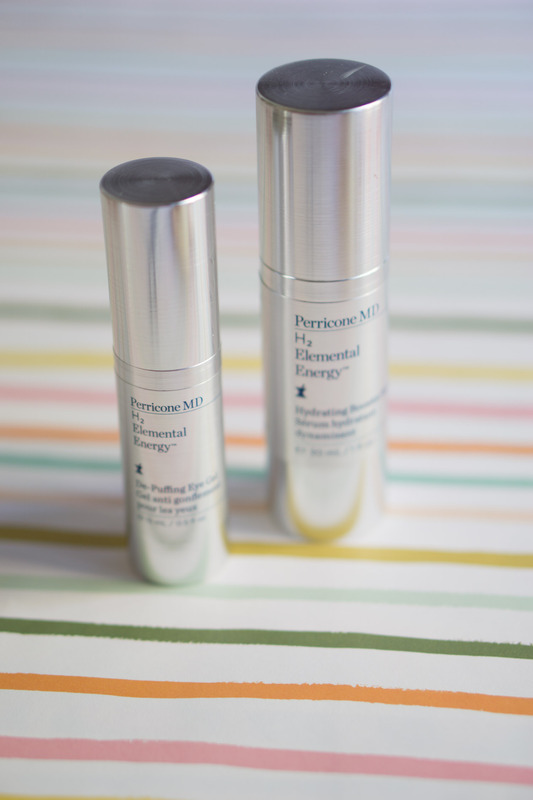 I use this serum by one of my favorite brands, Perricone MD, on the days when I feel that my skin is a bit dehydrated. For instance, when I’m testing clay masks for my 365 Masks Challenge. The serum is extremely nourishing, and it brings everything a dehydrated skin could need. Perricone MD De-Puffing Eye Gel: I don’t know if you noticed, but the under eye area is the most problematic for me. I already have wrinkles, and my skin in that area is always too dry. I’ve been using my favorite luxury eye cream for a while, and now, when I’m over, I’m switching between this De-Puffing Gel by Perricone MD and the one by Clarins. Both products help to bring my eyes back to life, so I look a bit more alive in the mornings. I also feel that this cream is super hydrating which makes much easier to apply concealer onto the under the eye area. Fizz & Bubble Rainbow Sherbet Blended Bath Salt: If you follow my blog for awhile you know that I have a soft spot for all the cute bath products by Fizz & Bubble. From cupcake-shaped bath bombs to a delicious smelling body wash, I’m obsessed with their products. My latest crush is this yummy smelling bath salt. It melts so easily and smells so yummy! I want to eat it! 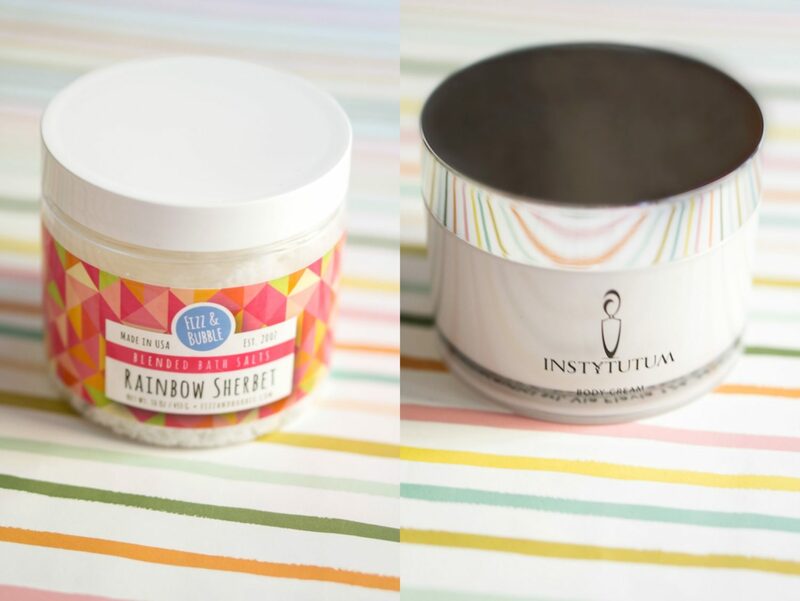 Instytutum Body Cream: Let me start by saying that I rarely finish an entire jar of a body butter in one set. Usually, I have a few different jars opened and switch between them. It was not the same with this body cream though. I loved how it smells and feels on my skin that I forgot about all other body care products until I finished this one. Yep, the jar you see in these photos is empty—and I’m certainly planning on ordering another one. Let me warn you though that it’s not a cheap product, but in my humble opinion, it’s totally worth the splurge! 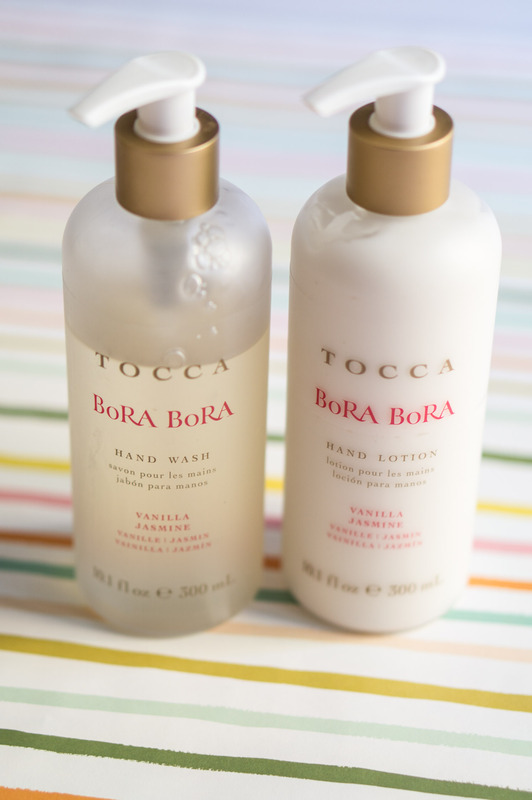 Tocca Bora Bora Hand Wash and Hand Soap: I picked this hand wash and a hand lotion at the Tocca event, and I immediately fell for it. In case you didn’t catch my report on Insta Stories, the brand rented out a gorgeous hotel room where they presented their new line of hand care. From four new scents, I picked Bora Bora as it features such unique and luxurious scent. I also have a candle that features the same scent—so all the aromatic products that I use in my bathroom are featuring the same scent. That was it for my May 2017 Beauty favorites! I hope you were able to find a few new products to try. Also, please feel free to ask in the comments area for specific recommendations for your skincare and makeup routine. I test so many different products on a regular basis that I really hope I’ll be able to help you out! Finally, please let me know if you already tried any of these products and whether you liked them or not. Thanks in advance!